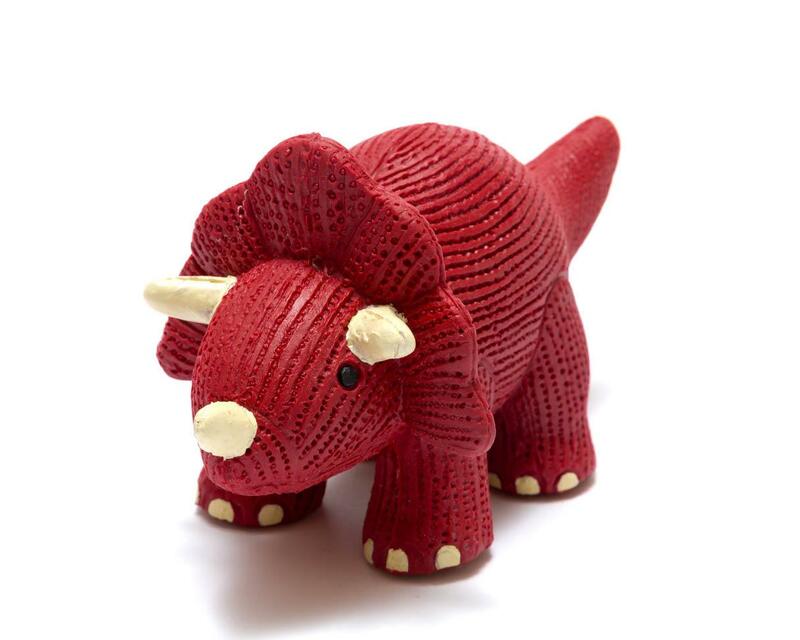 Handmade natural rubber dinosaur toy which is perfect for young babies. Textured, natural and soft it makes a lovely toy for babies and is perfect to chew on when teeth are coming through. Brightly red coloured, it is sure to be an instant hit with your baby. A great alternative to plastic toys. This makes a good bath toy as it has no hole in and therefore water cannot get inside. If you are looking for unique dinosaur baby gift ideas, then look no further! Best Years are a toy manufacturer based in the UK. All of our natural rubber dinosaur toys are available to wholesale, retailers and museum customers. Have you seen our range of Dinosaur Greetings Cards? CLICK HERE.